1. If you are using Windows XP, always turn on the firewall. 2. Run anti-virus program everyday. 3. 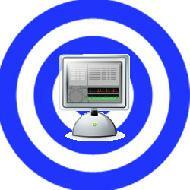 Run anti-spyware/adaware once a week. 4. Apply latest updates & service packs. Not only for Windows, but also for other software. 5. Run defragmentation, disk clean up, registry scanner once a week. 6. Turn on the pop-up blocker in your browser. 7. Never open email and its attachment that from sender you do not know. 8. Avoid receive file via instant messenger services. Receive file from email is a better way as most of the email services has virus checking. 9. When downloading files from internet, ensure the file are downloaded directly from the publisher. 10. Perform virus scan first before opening any files in external devices, liks USB. Thanks for your guidance to protect computer from viruses, and others that harmful to our computer…now got many anti-viruses and malware removers in the market, but we have to choose the good and reliable one..